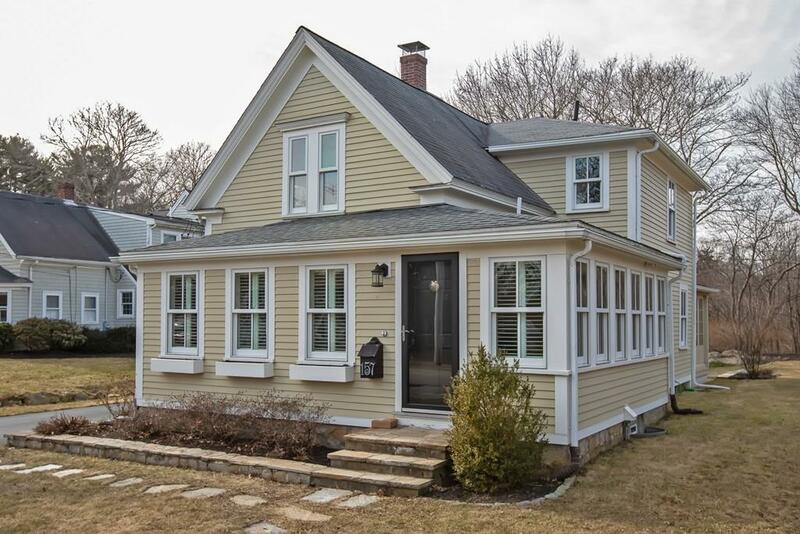 This 3 bedroom farmhouse offers charm, style and convenience to all Hingham has to offer! Curb appeal galore and the interior does NOT disappoint! Enter the front door to a sun-drenched reading room and family room with built-ins and plantation shutters. Updated kitchen with white cabinets, granite countertops and ss appliances. Butlers pantry w/ additional cabinets and countertop storage. Kitchen is open to the formal dining room with chair rail detail. Gleaming hardwoods throughout. Three season porch and stone patio offer additional entertaining space. Oversized garage with room to expand above. Second floor offers 3 bedrooms and a full bath. Master bedroom has builtin drawers and window seat. This home checks all the boxes!